Last month Japan-based printed OLED developer JOLED announced that it will demonstrate new OLED prototypes (including a 55" printed OLED TV) at Finetech Japan, which starts tomorrow (December 5). Today JOLED detailed the new panels it will have on display at the trade show. So first we have two automotive displays - a 12.3" HD OLED and a 12.2" flexible (curved ) Full-HD OLED. JOLED's latest investors, Denso and Toyoto Tsusho, are both helping the company with its entry into the automotive display market. Great to hear Asus PQ22UC is going to be released a year after the first announcement.The new 27″ prototype sounds more interesting, but 21.6″ on the real market is still much better than vapourware like Dell UP3017Q and even than the rumored upcoming 15.6″ Samsung laptop even if the laptop is going to be real and not just another prototype. 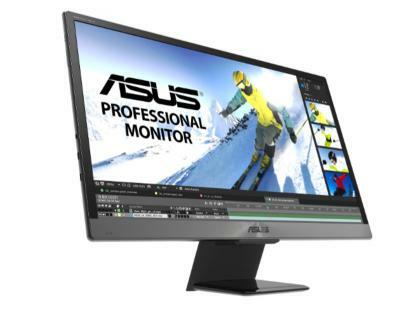 It’s strange that the 21.6″ “esports” monitor is listed as FHD instead of 4K while it was supposed to be based on the same 4K panel as Asus PQ22UC. By the way, it would be great if Asus PQ22UC had support for integer-ratio upscaling with no blur, e.g. for upscaling FHD to 4K with logical FHD pixel represented as a perfect square group of 2×2 physical pixels of the same color with no interpixel diffusion. This would prevent unreasonable decrease of sharpness during upscaling that all current 4K monitors (and their owners) suffer from.